Let’s start right from the beginning–there is no evidence that acupuncture has any significant clinical benefit for any condition. And because there is a small, but significant, risk associated with the acupuncture, the risk to benefit ratio is huge (if not infinity, since there is no benefit). There is simply no reason to accept, even a small risk, if there is no benefit to a procedure. Further, negative studies do not demonstrate an effect size of zero, but rather that any possible effect is likely to be smaller than the power of existing research to detect. The greater the number and power of such studies, however, the closer this remaining possible effect size gets to zero. At some point the remaining possible effect becomes clinically insignificant. In other words, clinical research may not be able to detect the difference between zero effect and a tiny effect, but at some point it becomes irrelevant. …after decades of research and more than 3000 trials, acupuncture researchers have failed to reject the null hypothesis, and any remaining possible specific effect from acupuncture is so tiny as to be clinically insignificant. 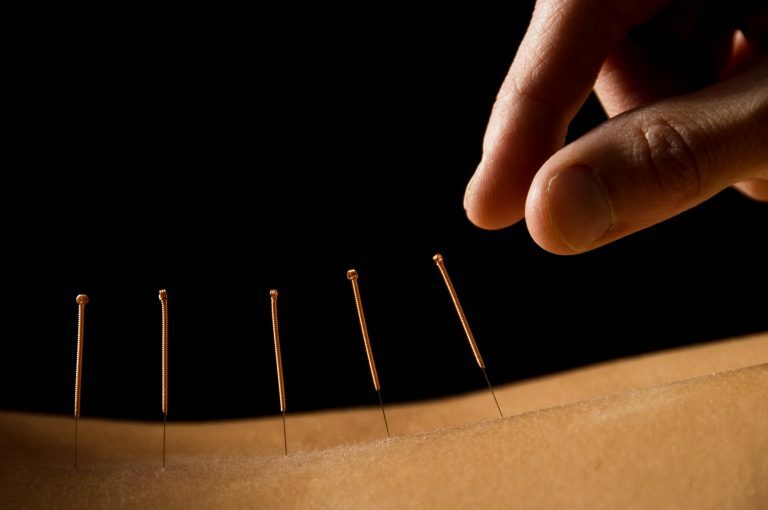 In layman’s terms, acupuncture does not work – for anything. This has profound clinical, ethical, scientific, and practical implications. In my opinion humanity should not waste another penny, another moment, another patient – any further resources on this dead end. We should consider this a lesson learned, cut our losses, and move on. I suspect, however, human nature being what it is, that this will not happen anytime soon. Large multicenter clinical trials conducted in Germany (here, here, here and here) and the United States consistently revealed that verum (or true) acupuncture and sham acupuncture treatments are no different in decreasing pain levels across multiple chronic pain disorders: migraine, tension headache, low back pain, and osteoarthritis of the knee. If, indeed, sham acupuncture is no different from real acupuncture, the apparent improvement that may be seen after acupuncture is merely a placebo effect. Furthermore, it shows that the idea of meridians is purely imaginary. All that remains to be discussed is whether or not the placebo effect is big enough to be useful, and whether it is ethical to prescribe placebos. Given that there is no evidence that acupuncture has any clinical benefit, there seems to be a continued desire to waste research dollars to debunk acupuncture. Of course, it just gives us acupuncture skeptics (mean in the true meaning of skepticism, that accepting a claim is dependent upon the quality and quantity of evidence presented) things to write. In a recent article in the Journal of the American Medical Association (JAMA), Hinman et al. examined the potential benefit of acupuncture for chronic knee pain. In this blinded and controlled clinical trial, the researchers placed 282 patients with chronic knee pain into four groups: control, sham acupuncture (a method that appears to be real acupuncture to the subjects and researchers), needle acupuncture, and laser acupuncture. All other variables were the same across the group, including weight, body mass index, use of medications (like glucosamine, which also doesn’t work), and other factors. The primary outcomes of the study were targeted to be: average knee pain (a subjective measurement on a 0-10 scale from the subject), minimal clinically important difference, and physical function. Secondary outcomes included other types of pain and motion measurements, along with 1 year follow up. There were no significant differences in primary outcomes between active and sham acupuncture at 12 weeks or 1 year. Both needle and laser acupuncture resulted in modest improvements in pain compared with control at 12 weeks that were not maintained at 1 year. Needle acupuncture improved physical function at 12 weeks compared with control but was not different from sham acupuncture and was not maintained at 1 year. Most secondary outcomes showed no difference. Needle acupuncture improved pain on walking at 12 weeks but was not maintained at 1 year and improved activity restriction at 1 year compared with control. Complete case analyses gave similar results with no differences persisting for primary outcomes between active and sham acupuncture. When analyzed as treated, there were still no differences in primary outcomes between active and sham acupuncture. Among patients older than 50 years with moderate to severe chronic knee pain, neither laser nor needle acupuncture conferred benefit over sham for pain or function. Our findings do not support acupuncture for these patients. These results are unsurprising. There is simply no plausible reason why acupuncture would work for pain, and study after study seems to support the null hypothesis–any specific effect from acupuncture is so small that it is considered clinical insignificant. Yes, some might claim that there’s some “placebo effect,” but many researchers, myself included, consider the placebo effect to be a myth, and that it still lacks clinical usefulness. Acupuncture relies upon pseudoscientific beliefs that there are certain locations on the body that, with acupuncture, can cause certain clinical benefits. Given the utter lack of evidence supporting the effectiveness of acupuncture for anything, including depression, pain, and other medical issues, there is no reason to think that this study has provided us with any evidence to change the scientific consensus about acupuncture–it is a pseudoscience with no clinical benefit. Acupuncture continues to show no clinical benefit in a multitude of situations, and it really should not be used as a frontline therapy in most studied clinical situations. I know some people will insist on using it, and will claim some incredible benefits. Except that’s just anecdote. Cherkin DC, Sherman KJ, Avins AL, Erro JH, Ichikawa L, Barlow WE, Delaney K, Hawkes R, Hamilton L, Pressman A, Khalsa PS, Deyo RA. A randomized trial comparing acupuncture, simulated acupuncture, and usual care for chronic low back pain. Arch Intern Med. 2009 May 11;169(9):858-66. doi: 10.1001/archinternmed.2009.65. PubMed PMID: 19433697; PubMed Central PMCID: PMC2832641. Impact factor=11.46. Colquhoun D, Novella SP. 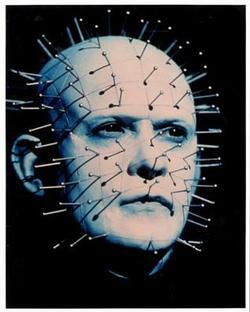 Acupuncture is theatrical placebo. Anesth Analg. 2013 Jun;116(6):1360-3. doi: 10.1213/ANE.0b013e31828f2d5e. PubMed PMID: 23709076. Impact factor=3.300. Haake M, Müller HH, Schade-Brittinger C, Basler HD, Schäfer H, Maier C, Endres HG, Trampisch HJ, Molsberger A. German Acupuncture Trials (GERAC) for chronic low back pain: randomized, multicenter, blinded, parallel-group trial with 3 groups. Arch Intern Med. 2007 Sep 24;167(17):1892-8. Erratum in: Arch Intern Med. 2007 Oct 22;167(19):2072. PubMed PMID: 17893311. Impact factor=11.46. Hinman RS, McCrory P, Pirotta M, Relf I, Forbes A, Crossley KM, Williamson E, Kyriakides M, Novy K, Metcalf BR, Harris A, Reddy P, Conaghan PG, Bennell KL. Acupuncture for Chronic Knee Pain: A Randomized Clinical Trial. JAMA. 2014 Oct 1;312(13):1313-1322. doi: 10.1001/jama.2014.12660. PubMed PMID: 25268438. Impact factor=30.0. Linde K, Streng A, Jürgens S, Hoppe A, Brinkhaus B, Witt C, Wagenpfeil S, Pfaffenrath V, Hammes MG, Weidenhammer W, Willich SN, Melchart D. Acupuncture for patients with migraine: a randomized controlled trial. JAMA. 2005 May 4;293(17):2118-25. PubMed PMID: 15870415. Impact factor=30.0. Melchart D, Streng A, Hoppe A, Brinkhaus B, Witt C, Wagenpfeil S, Pfaffenrath V, Hammes M, Hummelsberger J, Irnich D, Weidenhammer W, Willich SN, Linde K. Acupuncture in patients with tension-type headache: randomised controlled trial. BMJ. 2005 Aug 13;331(7513):376-82. Epub 2005 Jul 29. PubMed PMID: 16055451; PubMed Central PMCID: PMC1184247. Impact factor=17.215. Moffet HH. Sham acupuncture may be as efficacious as true acupuncture: a systematic review of clinical trials. J Altern Complement Med. 2009 Mar;15(3):213-6. doi: 10.1089/acm.2008.0356. Review. PubMed PMID: 19250001. Impact factor=1.464. Smith CA, Hay PP, Macpherson H. Acupuncture for depression. Cochrane Database Syst Rev. 2010 Jan 20;(1):CD004046. doi: 10.1002/14651858.CD004046.pub3. Review. PubMed PMID: 20091556. Impact factor=5.72. White A. A cumulative review of the range and incidence of significant adverse events associated with acupuncture. Acupunct Med. 2004 Sep;22(3):122-33. Review. PubMed PMID: 15551936. Impact factor=1.047. Witt C, Brinkhaus B, Jena S, Linde K, Streng A, Wagenpfeil S, Hummelsberger J, Walther HU, Melchart D, Willich SN. Acupuncture in patients with osteoarthritis of the knee: a randomised trial. Lancet. 2005 Jul 9-15;366(9480):136-43. PubMed PMID: 16005336. Impact factor=36.427. 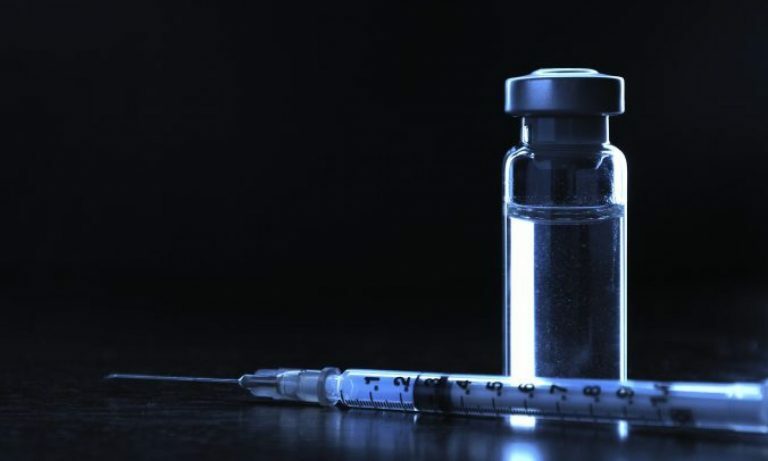 Next PostNext Lions, tigers and ebola–oh my!